Lake Forest, Illinois, November 15, 2018 – Tenneco Inc. (NYSE: TEN) announced today that it has signed a definitive agreement to acquire Öhlins Racing A.B. (“Öhlins”), a Swedish technology company that develops premium suspension systems and components for the automotive and motorsport industries. The addition of Öhlins will accelerate the development of advanced original equipment (OE) intelligent suspension solutions, while also fast-tracking time to market. It will also enhance Tenneco’s portfolio in broader mobility markets with the addition of Öhlins’ range of premium OE and aftermarket automotive and motorsports performance products. The acquisition is expected to close in the first quarter of 2019, subject to regulatory approvals and other customary closing conditions. Total consideration for this acquisition is approximately $160 million, which was contemplated in the leverage targets provided in April 2018 as part of the Federal-Mogul acquisition announcement. Öhlins or Öhlins Racing AB, is a Swedish company that develops suspension systems for the automotive and motorsport industries and supports performance teams in F1, Formula E, NASCAR and MotoGP racing. Öhlins, with last twelve months revenue of approximately $130 million at current exchange rates, employs 340 people and is headquartered in Upplands Väsby, Sweden, where the main R&D departments and production site are also located. Öhlins also has branches offices and subsidiaries worldwide: Auto Norden and Öhlins CES in Sweden, Öhlins Asia in Thailand, Öhlins Distribution/Technical Centre in Germany, Öhlins USA in North Carolina. This release contains forward-looking statements. These forward-looking statements include, but are not limited to, (i) all statements, other than statements of historical fact, included in this communication that address activities, events or developments that we expect or anticipate will or may occur in the future or that depend on future events and (ii) statements about our future business plans and strategy and other statements that describe Tenneco’s outlook, objectives, plans, intentions or goals, and any discussion of future operating or financial performance. These forward-looking statements are included in various sections of this communication and the words “may,” “will,” “believe,” “should,” “could,” “plan,” “expect,” “anticipate,” “estimate,” and similar expressions (and variations thereof) are intended to identify forward-looking statements. Forward-looking statements included in this release concern, among other things, the closing of the transaction described in this release, the benefits of the Federal-Mogul acquisition; the combined company’s plans, objectives and expectations; future financial and operating results; and other statements that are not historical facts. Forward-looking statements are subject to a number of risks and uncertainties that could cause actual results to materially differ from those described in the forward-looking statements, including the outcome of any legal proceeding that may be instituted against Tenneco and others following the announcement of the transaction; the possibility that the combined company may not complete the spin-off of the Aftermarket & Ride Performance business from the Powertrain Technology business (or achieve some or all of the anticipated benefits of such a spin-off); the possibility that the transaction may have an adverse impact on existing arrangements with Tenneco, including those related to transition, manufacturing and supply services and tax matters; the ability to retain and hire key personnel and maintain relationships with customers, suppliers or other business partners; the risk that the benefits of the transaction, including synergies, may not be fully realized or may take longer to realize than expected; the risk that the transaction may not advance the combined company’s business strategy; the risk that the combined company may experience difficulty integrating all employees or operations; the potential diversion of Tenneco management’s attention resulting from the transaction; as well as the risk factors and cautionary statements included in Tenneco’s periodic and current reports (Forms 10-K, 10-Q and 8-K) filed from time to time with the SEC. Given these risks and uncertainties, investors should not place undue reliance on forward-looking statements as a prediction of actual results. 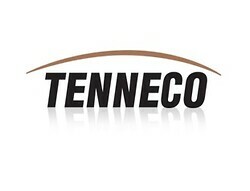 Unless otherwise indicated, the forward-looking statements in this release are made as of the date of this communication, and, except as required by law, Tenneco does not undertake any obligation, and disclaims any obligation, to publicly disclose revisions or updates to any forward-looking statements.